DoCoMo just announced the new 906i and 706i series offering with 19 handsets and 64 body colors, which will be launched starting June 1. The flagship 906i series – with all the usual high-end functions – will roll 8 new models, three from NEC, two from Sharp and one each via Panasonic, Fujitsu and Sony Ericsson. The 706i line-up introduced 11 ‘extra-slim’ models with One-Seg digital TV and a water-proof model for the bath. There’s plenty of material to wade through but some of the stand-out features include the addition of Flash 8 capabilities and a huge new video streaming portal. The 906i series models are equipped for all-round functions, including 3G/GSM international roaming, upgraded GPS location information, HSDPA, “One-Segment” mobile TV, 2 in 1 (combines capabilities of two phones in one), DCMX mobile credit card and iD mobile credit payments, VGA LCD screen and voice-to-text translation for Chinese, English and Japanese. 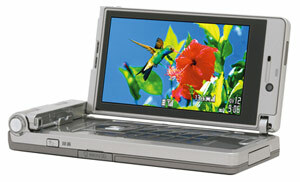 The 906i series enables full-spec enjoyment of diverse video content and services, including DOCOMO’s Music & Video Channel, which provides more than 100 channels of downloadable broadcasts spanning 14 genres, and the new video portal on the i-mode top screen, which offers a wide array of free, searchable videos and clips. The handsets come with upgraded full browsers to play Windows Media Video (all models except F906i) and Flash 8 (all models except P906i) content commonly available on PC websites, and can upload movies and images of up to 2MB. The new 706i series boasts slim, sophisticated designs and compatibility with “One-Segment” mobile TV. The 706i meets diverse needs with a wide-ranging lineup, including the Extra-Slim One-Seg Phone (slimmest One-Seg phone available), the Waterproof One-Seg Phone, the Wellness phone that monitors diet and health, and the enhanced Easy-to-Use phone with improved user interface. Some models are also compatible with advanced services such as HSDPA and 3G/GSM international roaming. Here’s a photo gallery for the 906i-series via DoCoMo’s Japanese site. The entire press conference — streaming video on-demand — is available Here.